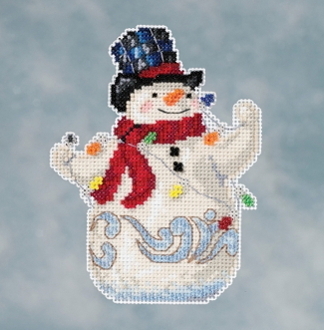 A stunning Christmas Ornament kit by award winning artist Jim Shore depicting a Snowman holding a string of lights. Makes one ornament to hang. Design size: 3.75" x 5" (9.5cm x 12.7cm).